Med: up to 41" (104cm). Large: up to 44" (112cm). XLarge: up to 48" (124cm). 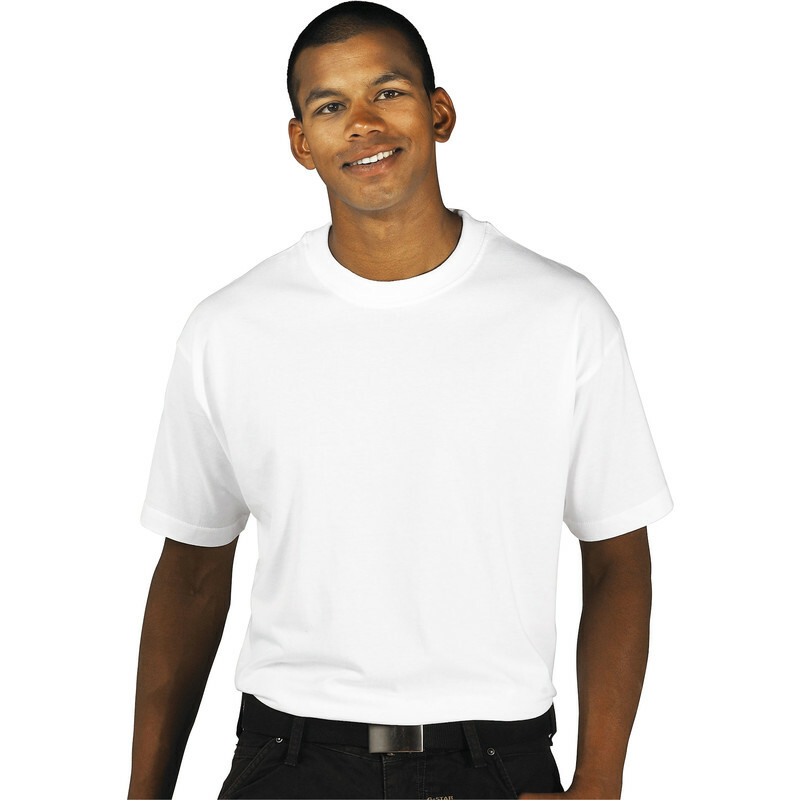 T Shirt Large White is rated 4.6 out of 5 by 10. Rated 4 out of 5 by Big jwm from Suits me sir. These are great I have bought several in passed and these wash well and keep their shape. Rated 5 out of 5 by Fighter from White T shirt Good quality shirt and splendid vale for money. Rated 5 out of 5 by Bevs from Good price Good quality for the price. Rated 4 out of 5 by Old guy from Another decent value product. It's a bit on the thin side, more summer weight on its' own/underwear for other seasons. Also a little on the small size. Next time I'll buy large. Rated 5 out of 5 by Derek H from Wears well Great value, tough wearing.